Inhabiting Edgelands, sees the re-visualisation of Jonny Bark’s final BA (Hons) Photography degree work, as an immersive experience in the Old Print Room at the CET Building in Coventry. 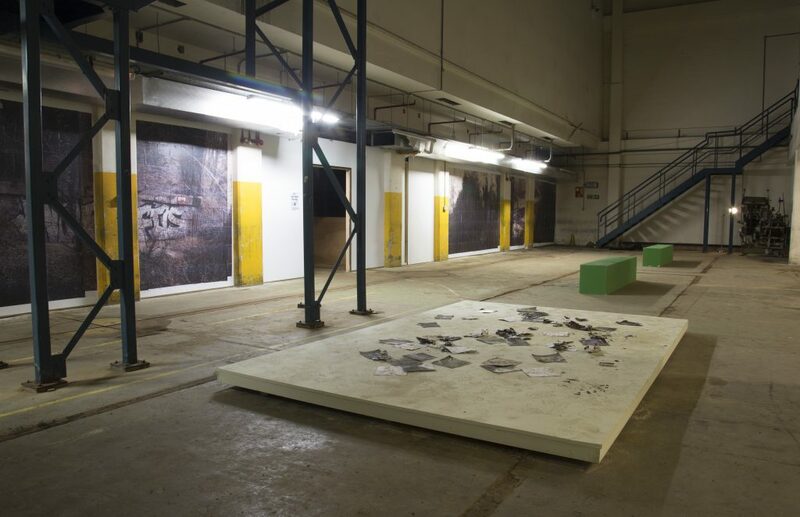 Once housing the printing press for the Coventry Evening Telegraph, the Old Print Room has transformed into an experimental space in which new installation strategies are investigated.  This space has enabled Bark to conceptualise and produce his first independent solo exhibition, the re-imagining of Inhabiting Edgelands. Originally conceived in book format, the work has been reconfigured to occupy the vast 30 x 20 metre Old Print Room. The work inhabits three of the four walls, punctuated on one side by neon yellow pillars. 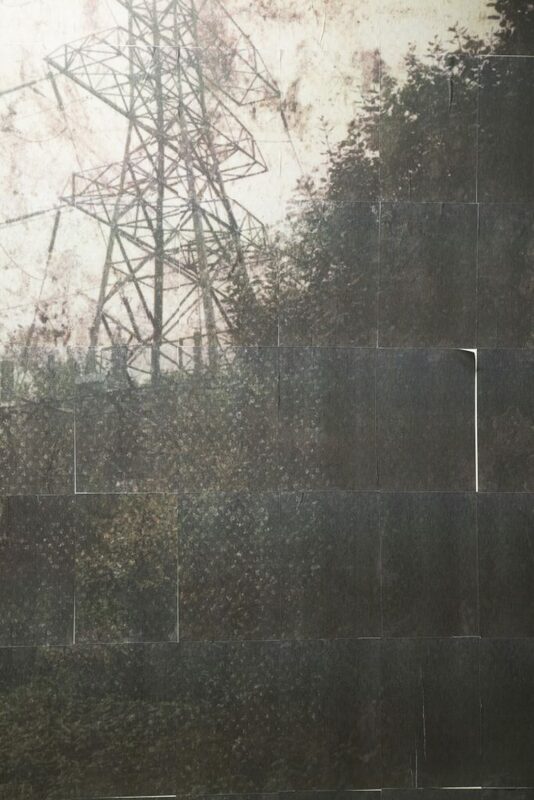 The images are pieced together in a mosaic of low-fi A4 prints to create life-size landscape images. In the centre of the room lays collected ephemera from the edge lands research site. Accompanying the visuals, Bark has created a soundscape that situates the audience back into the edge lands. Bark’s work moves away from traditional depictions of the picturesque landscape, redirecting us to the unnoticed and mundane. With the aim of drawing attention to the transitional spaces between the urban and the rural, Inhabiting Edgelands looks at these neglected liminal spaces. In order to investigate his research site beyond a tourist gaze, Bark camped out in the edge lands. In a formative showing of the work, the audience were required to travel to the edge lands to see the work on exhibition, in the environment where it was made. In placing the work within the research site, Bark demonstrated an understanding of the relationship between his images and the landscape. The weather conditions of the edge lands interacted with the images on display and the longer they were left situated in the landscape, the more they deteriorated. 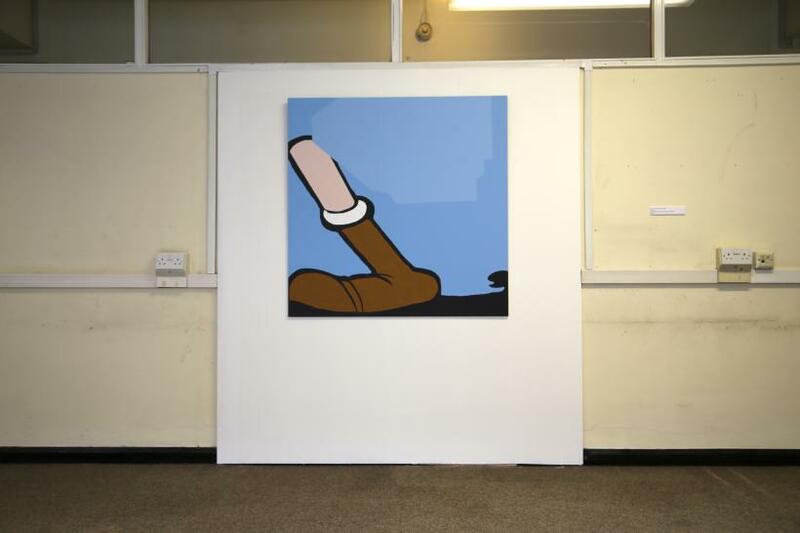 This became the inspiration for the low-fi presentation strategy used in both the Inhabiting Edgelands book and this exhibition presentation. In Inhabiting Edgelands, Bark reminds the audience of what it is like to ‘feel’ the geography of the landscape, as well as look at it. The overlooked and the everyday are at the centre of his work. It is a conceptual response to the landscape that raises questions about the politics in representing the environment. Using multi-sensory methodologies, the work succeeds in transcending its original photographic roots. This is not a spectator’s exhibition; it requires participation from the audience. 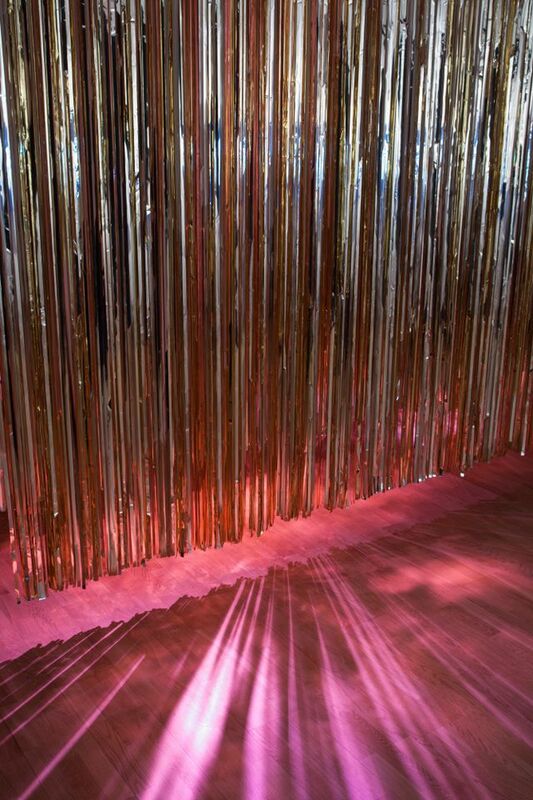 To capture the essence of Bark’s large-scale work, the audience are required to move around the space, and whilst doing so they are accompanied by the blended environmental soundscape. Through this interaction, the audience are encouraged to think of the landscape as an experiential place. 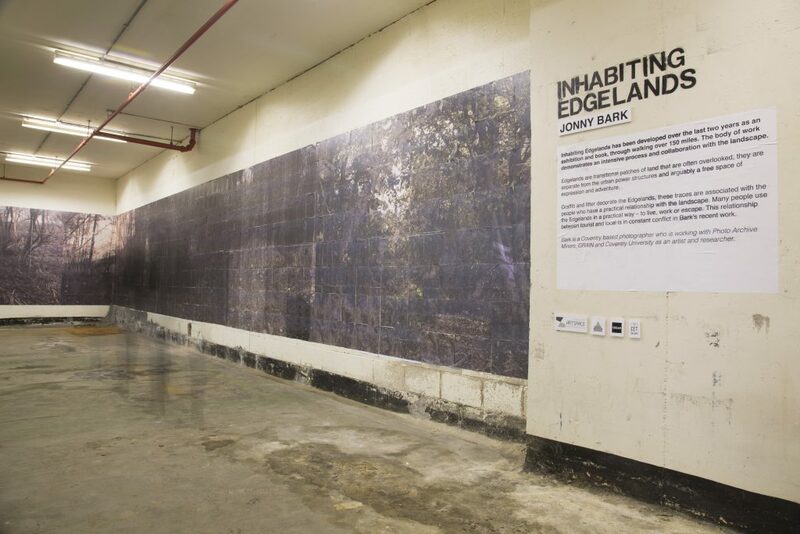 The opportunity of using the CET building to exhibit Inhabiting Edgelands has proved to be an excellent opportunity for Bark to realise the work without restriction of space or time.  Caroline Molloy, Senior Lecturer in Photography, Coventry University, reflects on her experiences of and the wider impact of Diaspora Pavilion/Venice to Wolverhampton. 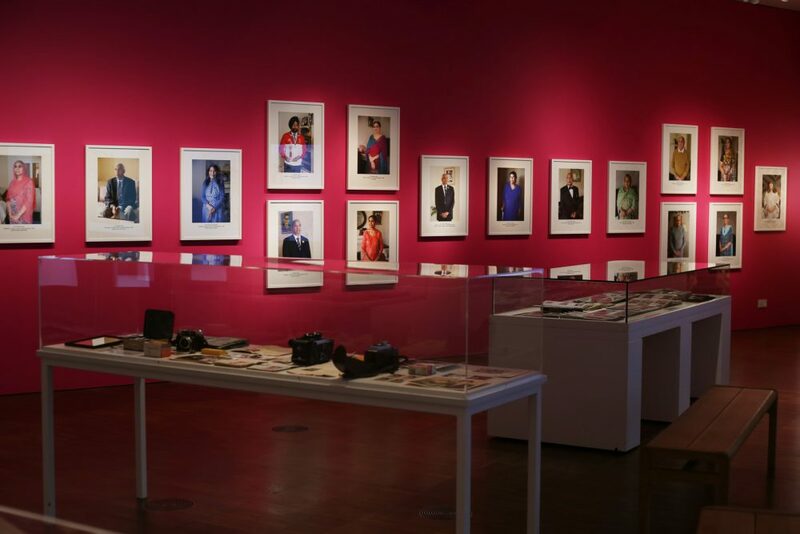 The Apna Heritage Archive exhibition at Wolverhampton Art Gallery is reviewed by Caroline Molloy. Engine Curatorial Bursary recipient Jonathon Harris reflects upon his experiences of working with last year’s Coventry Biennial of Contemporary Art.